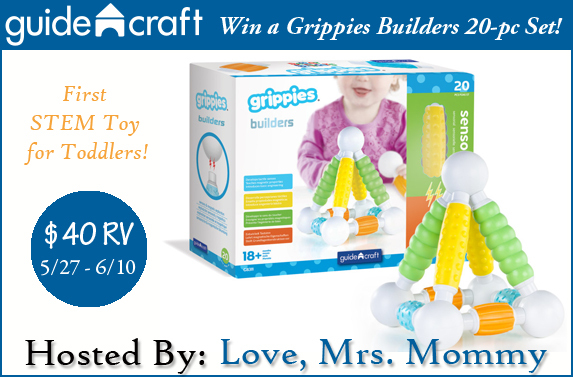 Love, Mrs. Mommy is hosting this awesome STEM Toy giveaway for 1 lucky person to win! This is the first STEM toy made for toddlers ages 18+ months old! $40 RV. Need your help promoting! There are FREE and Paid Options Available. Looking forward to working with you to promote this great giveaway! Thank you for your help! Would love your help promoting! Together we can work to accomplish a lot! Please sign up today! Thank you! Co-Hosts Wanted and Needed ~ $4 for 4 links of your choice (Facebook Comments, Blog Comments, Giveaway Entries, Daily Votes, Social Media Follows of your choice, and Secret Word Pages, but NO GOOGLE+) PLUS the 2 FREE links above gives you 6 Links Total! Co-Hosts are not required to post announcement but it is greatly appreciated!